Why did the name change when it went from Disneyland to Walt Disney World? Well, that remains a little unclear. What I do know is that frankly, the mention in the WDW script was apparently a goof. You see, instead of coming up with something clever the script author just wrote “Chief Name” in as a place holder and apparently that script ended up in the hands of operations… a.k.a. Jungle skippers. In the end, management ended up having somewhat of a contest amongst the skippers to name the head salesman since Imagineering gave them somewhat of an empty canvas. As fate would have it, a skipper decided to call him “Chief Nah-Mee (Name)” and everyone died laughing and thought it was hilarious. Thus, an inside joke was born that was oddly enough “approved” by Walt Disney Imagineering. 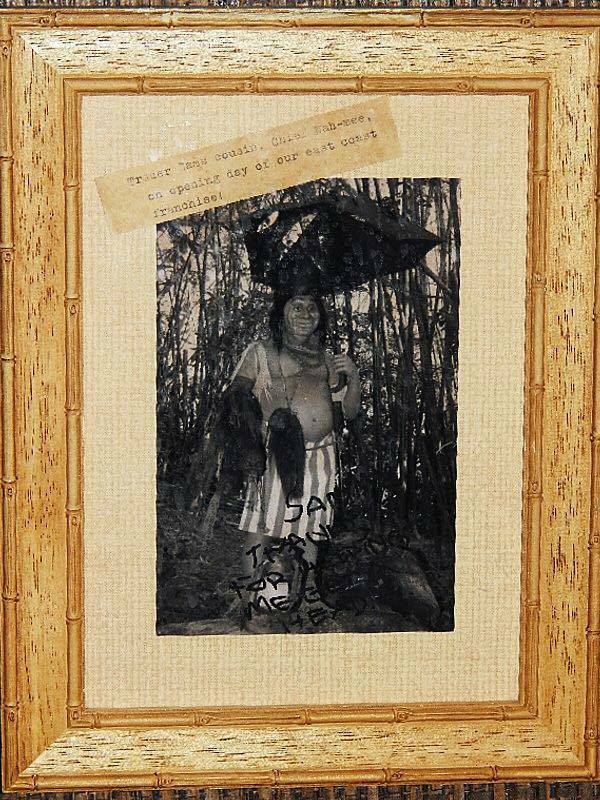 Recently, I posted something on the TPU Facebook page saying that I was disappointed the new lounge opening up at Disney’s Polynesian Resort bared the name of Trader Sam (of Disneyland fame) and not Chief Name (who is a part of Walt Disney World history). 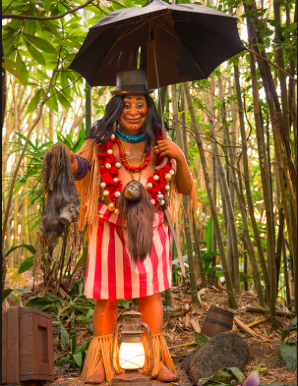 Thanks to a few readers who pointed out that the WDW salesman name changed back in 2009 to Trader Sam, I got to do some research on the subject. I spoke with several WDW Cast Members anonymously who gave me the scoop on why the identity crisis happened. 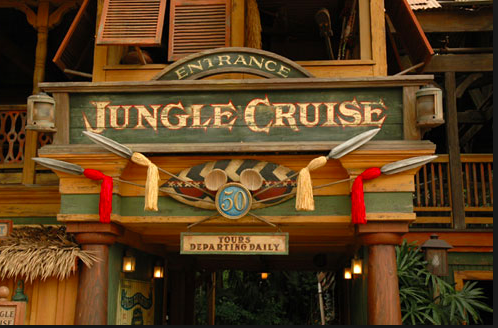 Apparently WDW skippers who vacationed in Anaheim took a few trips on the world famous Jungle Cruise there and heard a few jokes they thought would work well in Florida. The problem is those jokes weren’t approved in the WDW version of the script and if they were to use them they could potentially get in trouble. Crazy, right? The skippers approached management and asked them if the lines were approved for the west coast could they also be used here? 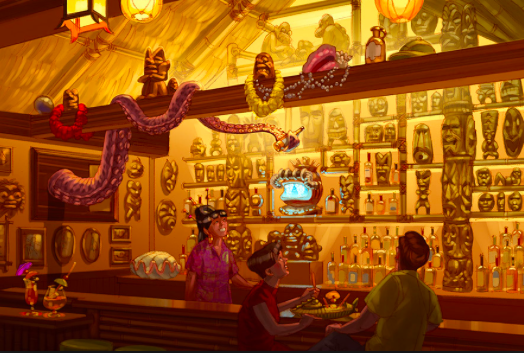 After a few meetings with WDI, not only were the zingers approved, they added a few that were suggested by the skippers themselves as well. 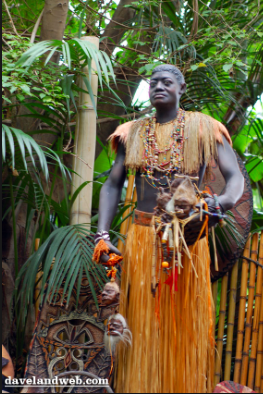 As part of the process, they also decided to “fix” the goof that was made in the script so many years ago and correct Chief Name’s name and make it Trader Sam to align with the Jungle Cruise in Disneyland. Granted, this isn’t exactly news (though it is to me), but what do you think? 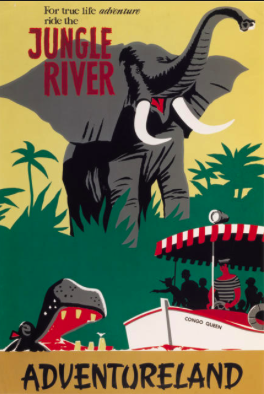 Even though it was a goof, it was part of the history of WDW and a nifty inside joke to tell your friends. 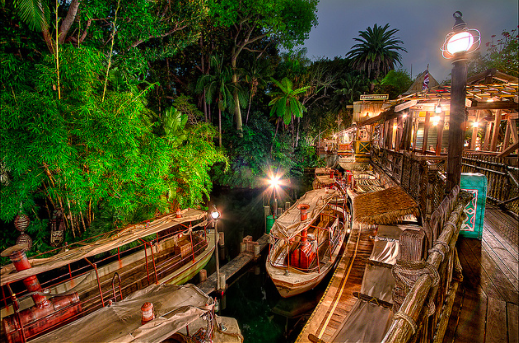 Now a part of what made the Jungle Cruise special in Florida is gone. Your thoughts? Make sure to follow Theme Park University on Twitter and like our Facebook page. Doing any shopping on Amazon? Click on any of the links on this page and help us pay the bills here. It costs you nothing extra! 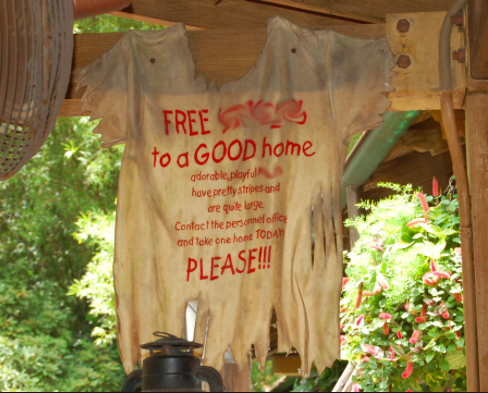 This entry was posted in Disney, Easter Eggs and tagged Chief Name, Disneyland, Jungle Cruise, Jungle Skippers, Trader Sam. Bookmark the permalink. Trackbacks are closed, but you can post a comment.